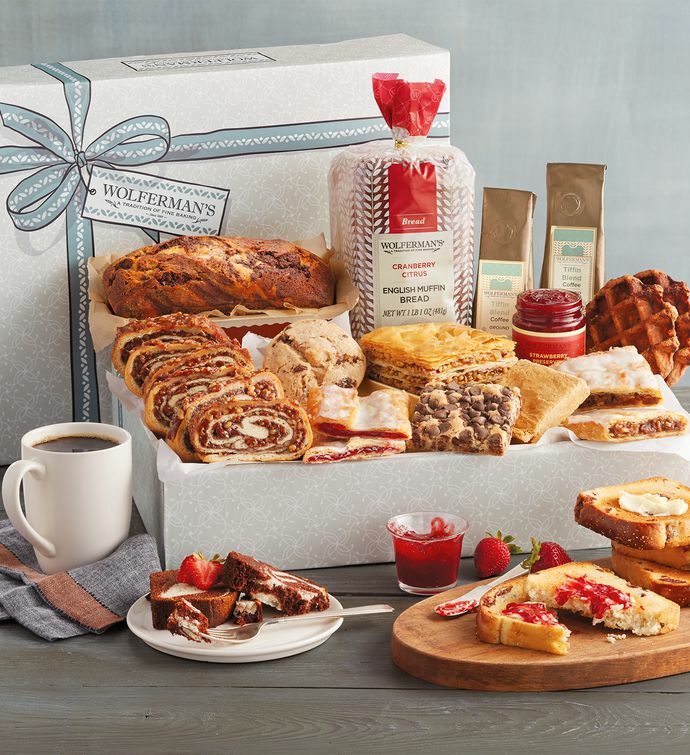 Set out a perfect breakfast or brunch with an assortment from the bakery. Start with chocolate waffles or perhaps our signature cinnamon swirl. 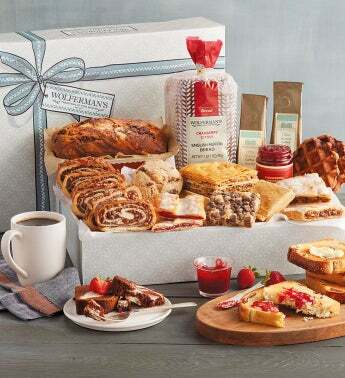 Try tasty chocolate and vanilla swirl loaf cake and two varieties of kringle while sipping a cup of robust coffee. And don't forget the dark chocolate chunk scone, baklava, or blondies, all tucked amongst English muffin bread and strawberry preserves.